In 2007 the Gippsland Immigration Wall of Recognition was opened. In 2008 the project won the Victorian Heritage and Culture Award in the Victorian Sustainable Communities Tidy Towns competition. 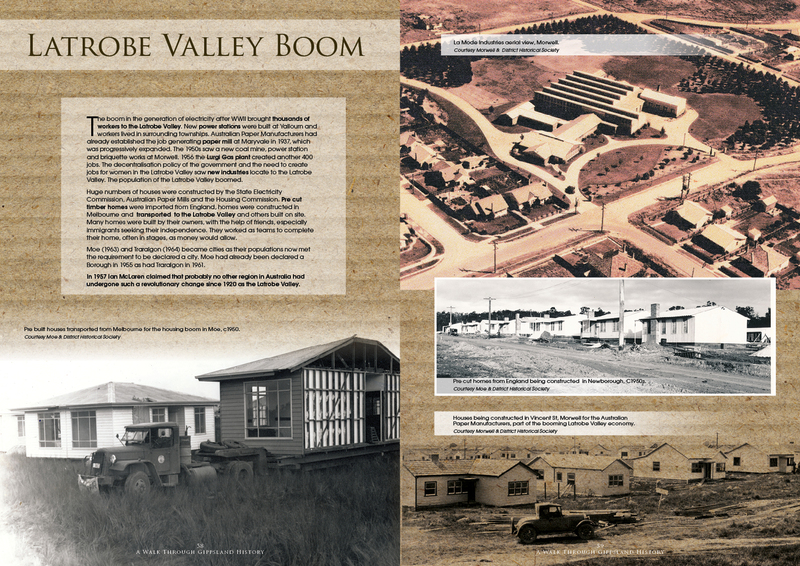 Having successfully completed the Immigration Wall of Recognition the Gippsland Immigration Park Committee looked to the development of the area adjacent to Immigration Park. 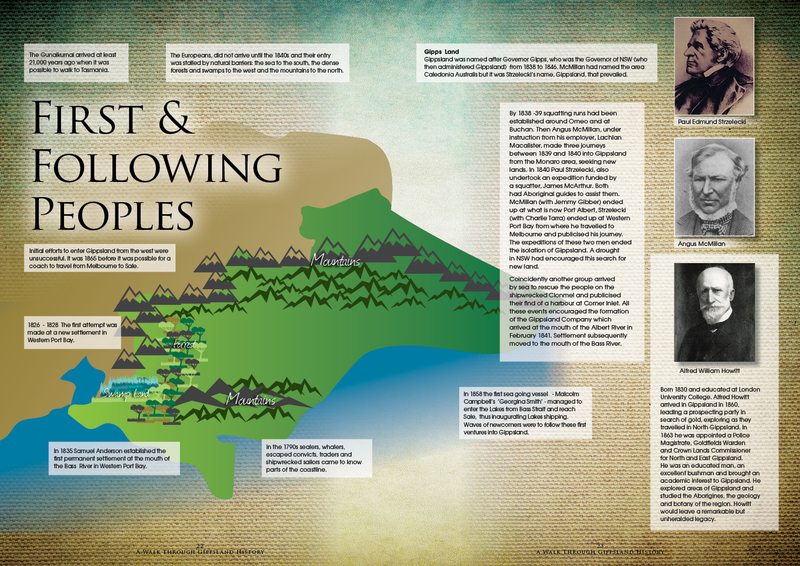 It was agreed that the ideal project would be a Gippsland Heritage Walk. Approaches to Latrobe City and Regional Development Victoria resulted in support for the project so work began in 2010. Hundreds of hours of labour were involved in the construction of the path and the stations along the walk where the information panels were located. 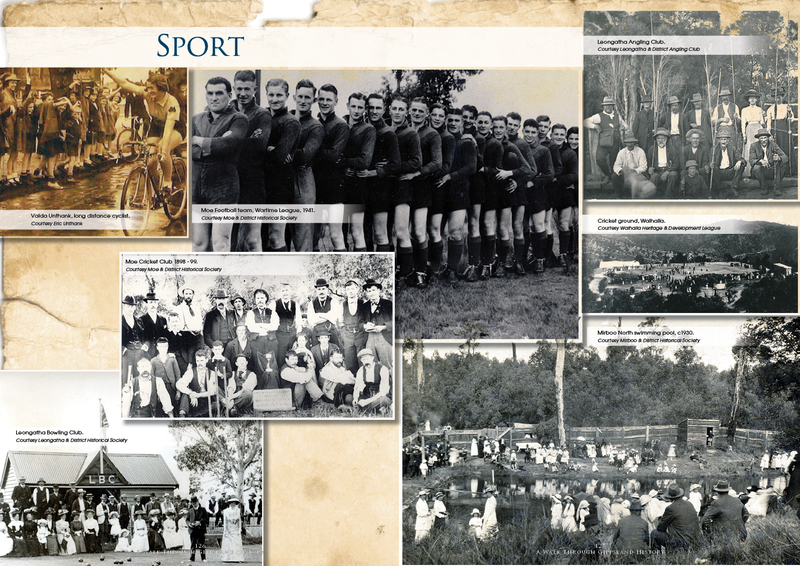 Many more hours were involved in the collection of images from across Gippsland, in researching Gippsland history and finally writing the text. 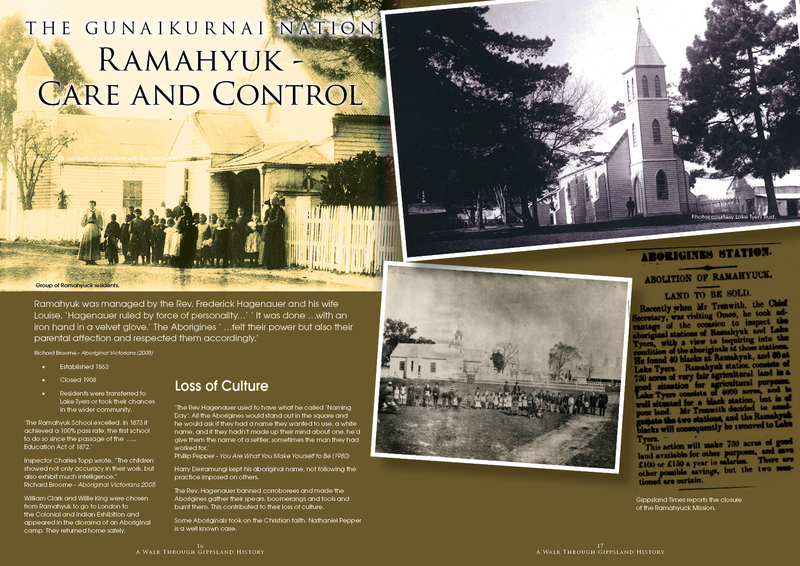 The graphic artist then brought together the text and images to create the panel designs you see on the walk. 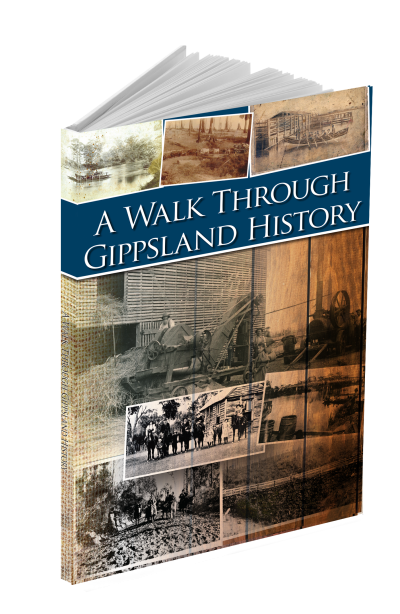 In this book, you will find the text and images for each of the 72 panels along the walk which tell the history of Gippsland. We commend the walk to you and hope you enjoy visiting and revisiting the walk. We have taken Gippsland to be from the Koo Wee Rup swamp to the border and from the coast to the Great Dividing Range. Dandenong was once the Gateway to Gippsland but today is considered part of the greater metropolitan area of Melbourne. As Gippsland is a vast region we have had to make decisions on what to put in and what to leave out. 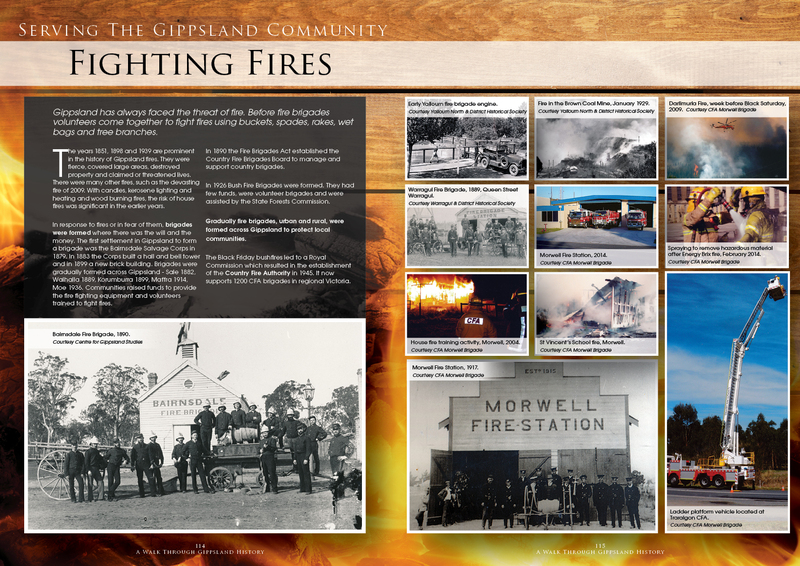 So the panels are but a glimpse into aspects of the history of Gippsland. 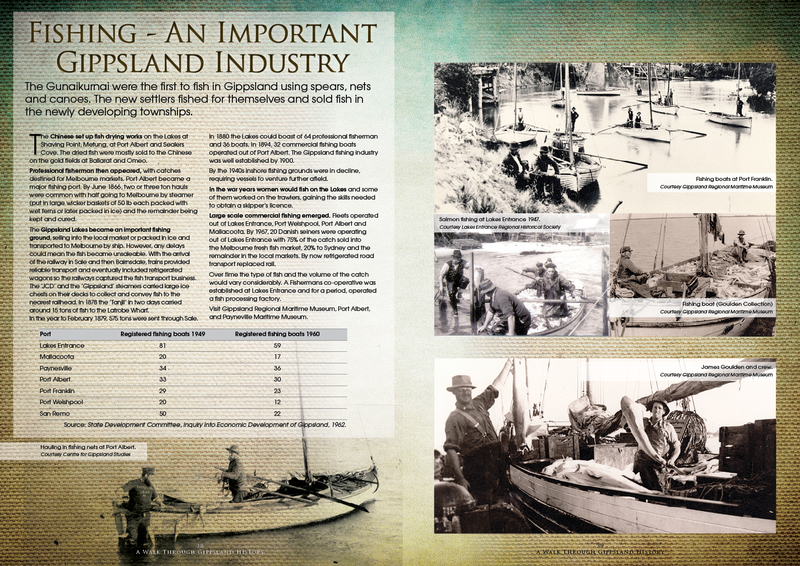 There are many aspects of Gippsland history that have not been covered due to the nature of the project. We would like to thank the many groups and individuals listed at the back of the book for their generous support. 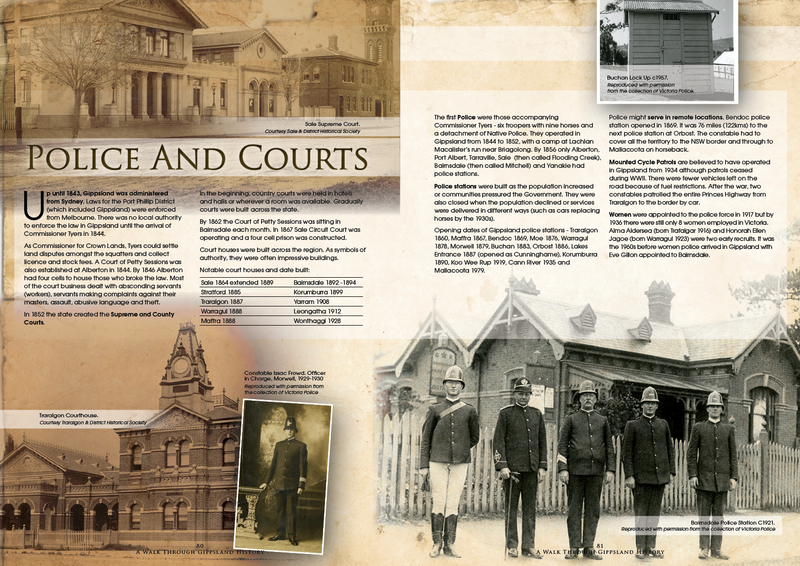 The majority are volunteers, dedicated to preserving Gippsland history in its many forms. Without them, this project would never have come to fruition. 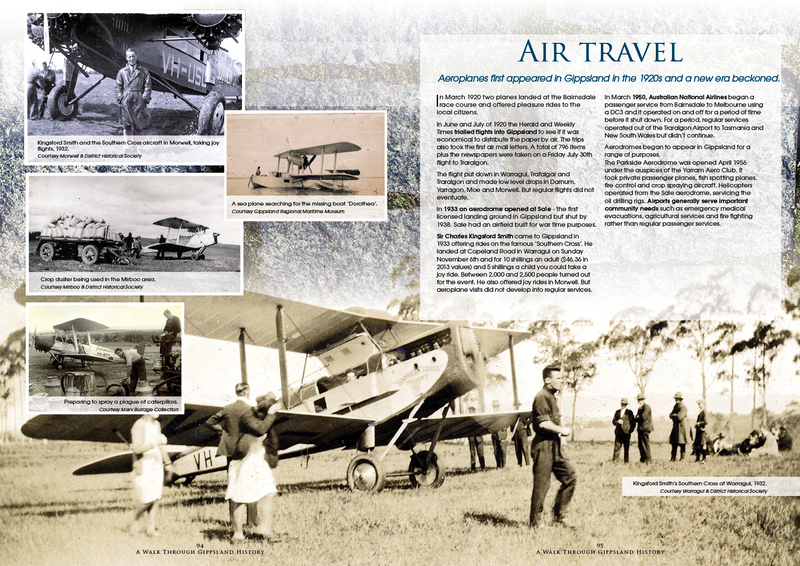 To learn more, we suggest that you visit local historical societies, their websites, the Centre for Gippsland Studies, Gippsland museums and local libraries, all of which hold a wealth of material. 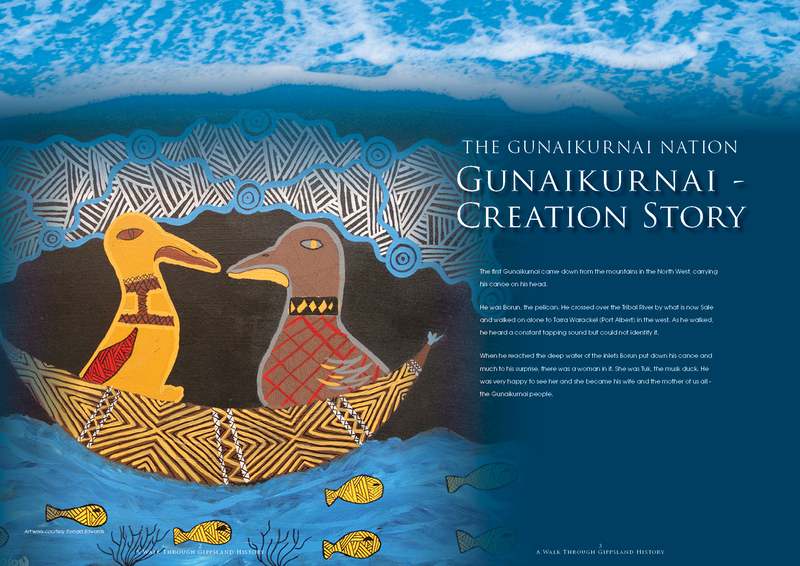 We hope that the panels will inspire visitors to learn more about the history of the region.